Location: Herbeville, in the Yvelines departement of France (Ile-de-France Region). Notes: Château de Boulémont is on the territory of the municipality of Herbeville, in the French department of Yvelines. 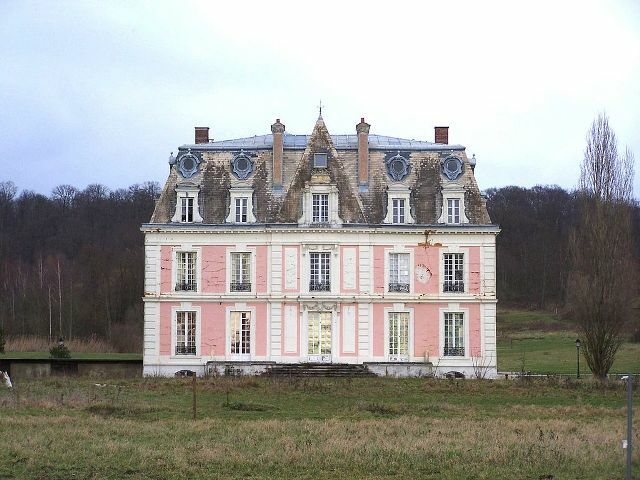 It is located in a locality of the same name, between Herbeville and Crespières.The first castle was built Boulémont seventeenth century but was rebuilt in the eighteenth century and remodeled in 1861. It belonged in 1819 to Baron Lanusse, lieutenant general of the king.In 1996, the subject of an inventory of the Ministry of Culture under the remarkable gardens.